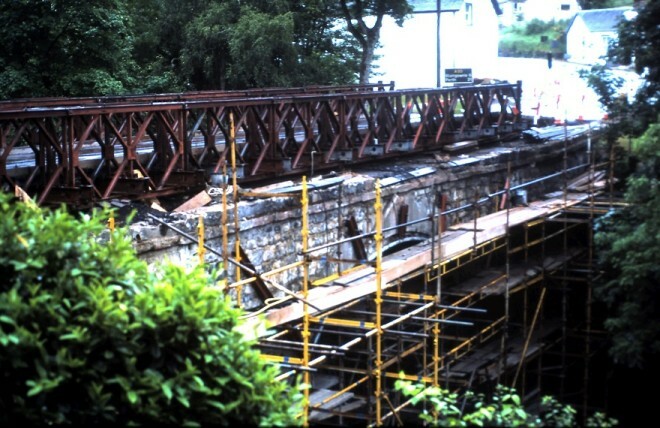 Bridge of Cally bridge was suddenly closed in 1977/78 winter when workmen discovered the vital keystone had dropped out. 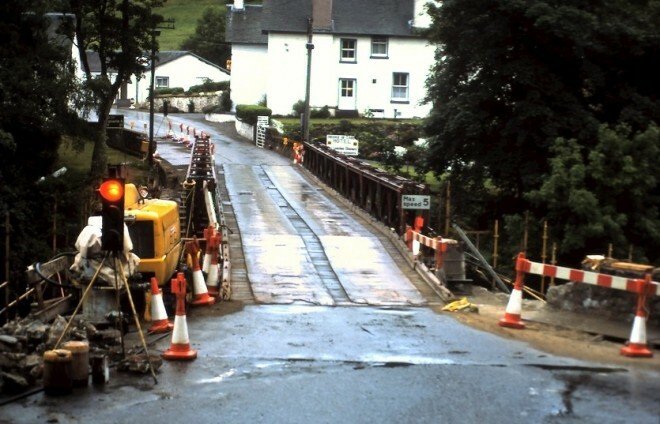 It was closed for two weeks and all traffic was diverted by the Drimmie road which caused considerable problems. The bridge eventually reopened with the temporary steel girders and plates and traffic lights until permanent repairs were completed.